The Wilfrid Laurier University Act, 1973 and the Wilfrid Laurier University Amendment Act, 2001 are acts of the Legislative Assembly of the Province of Ontario. 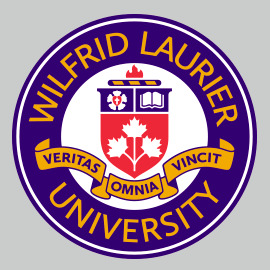 The Wilfrid Laurier University Act, 1973 came into force on the 1st day of November, 1973; the Wilfrid Laurier University Amendment Act, 2001 came into force on the 29th day of June, 2001. All by-laws and regulations of the Board of Governors of the University, in force from time to time, shall supplement the provisions of the act where authorized. A copy of this by-law of the Board of Governors of Wilfrid Laurier University shall be available to the university community and the public. m) Vice-Chair, means a vice-chair of the Board. b) Officers shall be elected by the Board at its annual meeting and shall hold office for one year at the pleasure of the Board. c) The Treasurer and the Secretary shall have such powers and duties as may be conferred upon them by the Board. d) Should the Board decide to elect other officers, the Board shall have control over their terms of employment, remuneration and removal from office. e) Except where otherwise provided in the Act, in the event of a vacancy in any of the above offices for any reason, the Board may appoint a successor to hold office for the balance of the term of the person whose office so falls vacant. a) With the exception of the immediate Past-Chair of the Board, for serving officers of the Board, reelected for a third consecutive term pursuant to section 20 (2) of the Wilfrid Laurier University Act, 1973, as amended, the maximum number of consecutive terms on the Board is three; for greater particularity, such members shall serve on the Board for no more than nine consecutive years. b) The immediate Past-Chair of the Board shall continue in this capacity as an officer of the Board until there is a subsequent immediate Past-Chair. The presidents of the Wilfrid Laurier University Student’s Union (WLUSU) and the Wilfrid Laurier University Graduate Students’ Association (WLUGSA) and the president of the Wilfrid Laurier Alumni Association (WLUAA) are designated as official observers at open Board meetings. These official observers will have voice at open Board meetings but not a vote. a) The Board shall meet not less than four times a year. The annual meeting shall be the first regular meeting after May 1. The Board at its annual meeting may by resolution appoint a day or days in any month for regular meetings at an hour to be named in such resolution. b) Notice in writing of the time and place of meetings of the Board shall be sent to each Member at least ten days prior to the day appointed for the meeting, and such notices shall be posted to inform the university community. a) Special meetings may be called and held at any time at the call of the Chair, or in case of the Chair's absence or illness at the call of a Vice-Chair, or in case of the absence or illness of both, at the call of the President and any three Members. b) On the requisition in writing of not fewer than fifteen Members special meetings shall be called and held at the date and time set out in such requisition. c) The call for a special meeting shall state the nature of the business to be transacted and shall be delivered to each Member at least two clear working days prior to the day appointed for the meeting. A notice of the meeting shall be posted in advance of the meeting date to inform the university community. a) Subject to subsection (b), all meetings of the Board, including committee meetings, shall be open to the public and prior notice of such meetings shall be given to the members and to the public in such manner as the Board shall determine, and no person shall be excluded there from except for improper conduct but, where confidential matters of the University are being considered, that part of the meeting may be held in camera. b) Where matters of a personal nature concerning an individual may be disclosed at a meeting, the part of the meeting concerning such individual shall be held in camera unless such individual requests that such part of the meeting be open to the public. Unless otherwise directed by the Presiding Officer, all meetings of the Board shall be held on one of the campuses of the University, and no Member shall be represented by proxy. Members can attend and vote by telephone or by other electronic means. The accidental failure to give notice of a regular or special meeting to any Member or any accidental irregularity in connection with the giving of notice shall not invalidate the proceedings at the meeting. a) The agenda for a meeting of the Board shall be prepared by the University Secretary and shall be approved by the Chair. b) All matters for inclusion in the agenda for regular meetings of the Board shall normally be submitted to the University Secretariat not less than seven days before the day of the meeting at which they are to be presented. Late submissions for agenda business will be subject to the approval of the Chair and added to a final agenda to be submitted for approval by a majority of the Members at the beginning of the meeting. c) The University Secretary shall forward an agenda and reports/documentation to Members at least three working days prior to a regular Board meeting. d) The business of a regular Board meeting shall be confined to the agenda and no new matter, other than that of privilege or petition, shall be dealt with unless the introduction of such new matter shall be approved by a majority of Members present. The Chair shall be notified before the meeting of new items submitted for inclusion on the agenda subsequent to its approval and, at the commencement of the meeting, shall request a motion concerning the disposition of such items. A notice of motion to amend or repeal any existing by-law, or to pass any by-law must be given in advance at the meeting previous to the meeting at which the motion shall be presented. Any such amendment, repeal or passage must be approved at a meeting of the Board by a two-thirds majority of the Members present. Save and except where it is otherwise herein provided, the action of the Board upon any matter coming before it shall be evidenced by resolution and the entry thereof in the minutes of the Board shall be prima facie evidence of the action taken. Spectators (including representatives of the news media, but not University resource persons), shall not be permitted to address the meeting unless authorized to do so by a majority vote of the Board. Spectators shall not be permitted to use cameras or electronic equipment during Board meetings unless permission is granted by a majority vote of the Board; provided that exemptions may be granted, from time to time, by resolution of the Board and subject to such conditions as the Board may impose. A record of the proceedings of all meetings of the Board shall be kept and the minutes of every such meeting shall be sent to the Members. The minutes shall be presented for adoption at the next regular Board meeting. A copy of the minutes excluding those parts of the minutes that are of a confidential nature, shall be kept on file in the Library and shall be open to the public during Library hours. Minutes of a confidential nature shall be retained by the University Secretary for five years and then forwarded to University Archives. Access will be restricted unless permission for access is granted by the Chair and the President. In all cases not provided for in this by-law, parliamentary rules of procedure for meetings of the Board and its committees shall be in accordance with Robert's Rules of Order, latest edition. a) A member of the Board of Governors who has an interest, other than the interest of Wilfrid Laurier University, in a matter before the Board or a committee thereof on which the member sits shall declare that interest. b) If such interest is financial, whether direct or indirect, the member shall not participate in any discussion of the matter, shall withdraw from the meeting while the matter is being discussed and shall not vote on the matter. c) If such interest is not a financial interest, the member may participate in the discussion and may vote on the matter, unless two-thirds of the Board or committee who have not declared such an interest decide otherwise. d) Notwithstanding the provisions of paragraph (b) above, Board members who are faculty or staff of Wilfrid Laurier University may participate in the discussion and vote at the Board level on matters related to group remuneration, benefits, terms of employment, and other matters established in a collective fashion, provided that their interest in such matters does not differ from the general interest of their Wilfrid Laurier University faculty and staff colleagues. The Board may join with the Senate in establishing one or more joint committees of the Board and the Senate. The Executive and Governance Committee shall be a standing committee of the Board and shall consist of the Chair, the President, the Vice-Chairs, the Secretary, the Treasurer, the immediate Past-Chair, so long as that person continues to be a Member of the Board, standing committee chairs who are not officers of the Board, and three members of the Board of Governors: a faculty Member, a student Member, and an administrative staff Member, who shall be elected at the annual meeting for a one-year term from those Members designated under paragraphs 5, 6, 7, 7.1 and 8 of subsection 1 of section 8 of the Act. Standing committees of the Board shall be established by resolution of the Board. Standing committees may constitute subcommittees, the composition and terms of reference of which shall be submitted to the Board for approval. Special committees may be appointed from time to time as the Board may direct. Board committees are established primarily for making recommendations to the Board and exercise those powers conferred upon them by the Board. They shall not commit the Board in any matter unless authority to do so has been specifically delegated by the Board. a) Meetings of committees may be called whenever it is deemed necessary by the chair of the committee, by the Chair, or by the President. b) Notice of meetings shall be delivered to members by the University Secretary or designate in accordance with procedure approved by the committee. c) The accidental failure to give notice to any member or any accidental irregularity in connection with the giving of notice shall not invalidate the proceedings at a meeting. d) At the discretion of the chair, the business of a committee may be conducted without the necessity of holding a formal meeting and voting may be conducted in both situations by telephone or by other electronic means. The agenda shall be prepared by the University Secretary or designate and shall be approved by the chair. All matters for inclusion in the agenda must be submitted at least seven days (exclusive of holidays) prior to the day of the meeting at which they are to be presented and only matters which have then been submitted shall be included in the agenda. The chair shall be notified of items received subsequently and a motion to adopt the agenda, made and passed when the meeting opens, shall be sufficient to include such new matters. A record of the action of all committees shall be kept and it shall be the responsibility of the University Secretary or designate of each committee to submit a report of the proceedings of each meeting of the committee in time for its inclusion in the agenda material for the next following meeting of the Board. A simple majority of a committee shall constitute a quorum. a) In between regular Board meetings, or at such other times the Board may specify, the Executive and Governance Committee is empowered to act on behalf of the Board. b) Action taken by the Executive and Governance Committee on behalf of the Board will be reported to the Board at its next regular meeting. c) The Board may delegate specific discretionary powers of authority to its standing committees, either by resolution or by provisions contained in the terms of reference of the committees concerned. d) The appointment of members of faculty and administrative staff is delegated to the President. a) The mace now in use shall continue to be the mace of the University. The mace shall be used at all convocations of the University and shall be carried by the University bedel at convocations. The mace will be present at Board meetings at the discretion of the University Secretary. b) The University Secretary shall be responsible for the custody and security of the mace, and shall keep it in such a place of deposit and in such charge as the Chair shall from time to time direct. The corporate seal of the University shall be in the custody of the President or such other person as the Board may by resolution from time to time designate. All contracts, documents or other instruments in writing requiring execution by the Board or on behalf of the Board shall be signed by signing officers designated by resolution of the Board, and all such contracts, documents or other instruments so signed, shall be binding upon the Board without any further authorization or formality. The corporate seal of the University shall, when required, be affixed to the said signed contracts, documents or other instruments in writing. All cheques, drafts or orders for payment of money, and all notes and acceptances and bills of exchange received or issued by the University, shall be signed by such signing officer or officers of the University or by such signing authority of the University, in such manner as may be designated from time to time by resolution of the Board. The banking affairs of the University shall be transacted with such bank or banks, or other corporations carrying on a banking business, as the Board may from time to time designate by resolution, and all such banking affairs shall be transacted on behalf of the Board by such one or more officers and/or other persons as the Board may designate by resolution and to the extent therein provided. The Board may designate by resolution one or more officers who shall be authorized to manage the investments of the University and to purchase, transfer, exchange, sell or otherwise dispose of or turn to account or realize upon securities, in accordance with policies established by the Board. Securities, money, and other valuable instruments of the University shall be deposited for safe-keeping with such banking institution as is designated by resolution of the Board. Any and all property of the University so deposited may be withdrawn from time to time only upon the written order of the University signed by such officer or officers, agent or agents of the University and in such manner as shall from time to time be determined by resolution of the Board and such authority may be general or limited as specific instances require. The head office of the University shall be in the City of Waterloo in the Regional Municipality of Waterloo, in the Province of Ontario. In all by-laws of the Board where the context so requires, or permits, the singular shall include the plural and the plural the singular; the word "person" shall include all individuals, firms and corporations. In deciding all matters not specifically provided for in this by-law, the practice and procedure of the Board shall be governed by analogy thereto. Any by-laws and resolutions previously passed by the Board or by a sub-committee of the Board insofar as the same are inconsistent with the enactments herein contained are repealed, but such repeal does not affect anything heretofore done or any right heretofore acquired under or in pursuance of any such by-laws or resolutions repealed by this by-law. This by-law shall come into effect on the day it is enacted by the Board. Passed this 2nd day of December, 2003. 1. Every member of the Board and every officer and employee of the University and the heirs, executors and administrators and the estate and effects of each of them, respectively, shall from time to time and at all times be indemnified and saved harmless out of the funds of the University, from and against all costs, charges and expenses whatsoever (including amounts paid to settle an action or satisfy a judgment), that such person sustains or incurs in or about any civil or administrative action, suit, or proceeding that is brought, commenced or prosecuted against such person, for or in respect of any act, deed, matter or thing whatsoever, made done or permitted by such person, in or about the execution of their duties, except such costs, charges or expenses as are occasioned by such person's own wilful neglect or wilful default. 2. Provided however that, in exchange for these provisions of indemnity, such indemnified person shall cooperate fully with the University in the defence of any such proceedings and shall be subject to such direction as the University or its Counsel shall deem appropriate, failing which, such provision of indemnity provided hereby shall forthwith lapse and be of no further force and effect. 3. This by-law shall come into effect on the day it is enacted by the Board and, effective the same day, all previous by-laws inconsistent with this by-law are repealed. e) Delegate to such one or more of the officers of the University and members of the Board as may be designated by the Board, all or any of the powers conferred by the foregoing clauses of this by-law to such extent and in such manner as the Board shall determine at the time of each such delegation. 2. This by-law shall come into effect on the day it is enacted by the Board and, effective the same day, all previous by-laws inconsistent with this by-law are repealed.